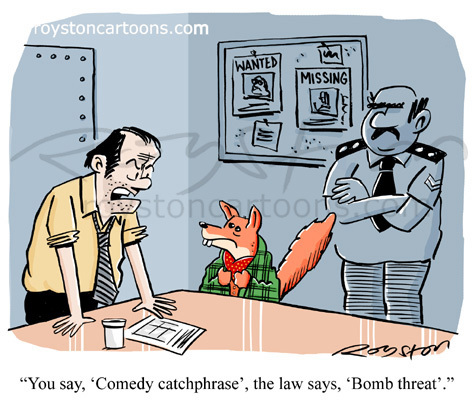 "You say, 'Comedy catchphrase', the law says, 'Bomb threat'." A jokey or humorous comment can get you in trouble in these paranoid times, as this character is finding out. For international readers who don't know who he is, Wikipedia is your friend. This appears in the June issue of Reader's Digest.